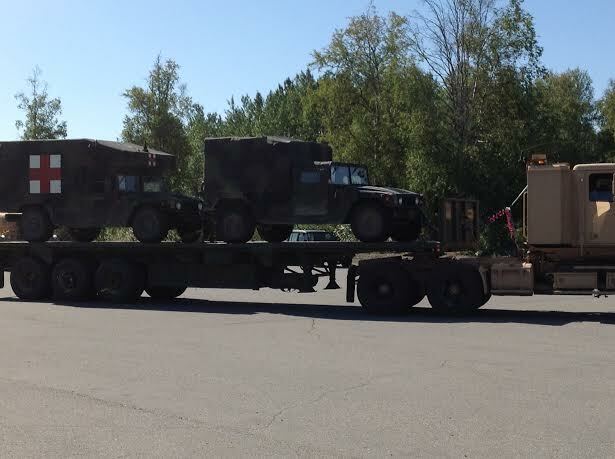 Slacker 614 sent me this original video of a massive shipment of medical, surveillance, equipment supply, and troop transport and mechanized fighting vehicles being transported through Union Station in Portland, Oregon. 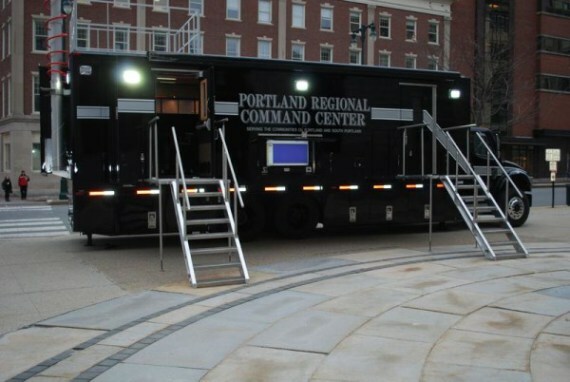 PORTLAND, Maine — — A new mobile command unit to be used by Portland and South Portland police and fire departments sits outside Portland City Hall on Monday. The unit doubles as a conference and communications center. Jason Dewitt sent me publicly available information from Maine in which the police of Portland, Maine and the military police and local law enforcement will be training to prepare for civil unrest. Details were not available, but with what we already know about Jade Helm, details are not necessary. I was also sent the following email regarding a train convoy near Logan, Utah. I enjoyed your broadcast on 7/31 and related article on 8/1. I’m former Intel Analyst. My studies were based on cold war scenarios. Russia advancing on European interests. You may have already received this info. Reported 3 hrs ago, a train loaded with tanks 7 miles north of Logan, Utah. In remote regions of Alaska, people are observing the placement of the future instruments of their oppression in even obscure and out of the way locations. 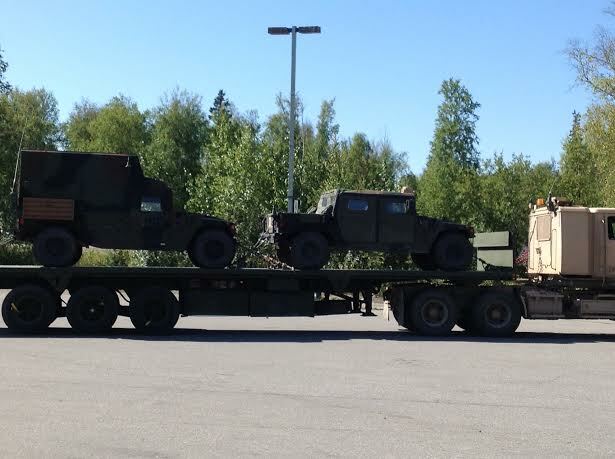 This convoy has combat written all over it. 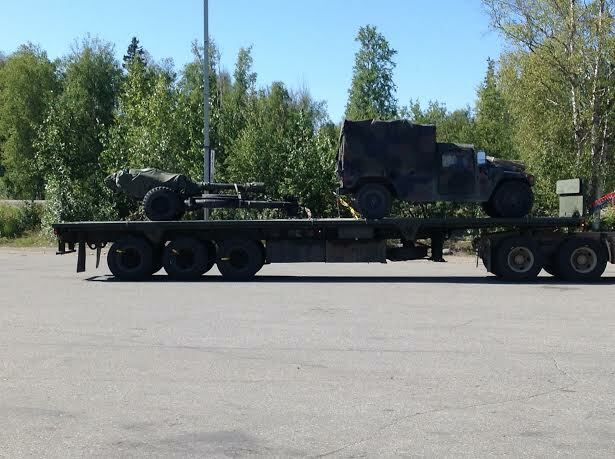 It looks like someone is expecting casualties. Many reader will recognize the name of Marlon Brock and remember that he has provided the readers of The Common Sense Show with irrefutable photographs demonstrating the subterfuge and nefarious activities connected to the Midland, TX. Walmart. Trouble seems to follow Marlon as he recently sent me the following email. Marlon Brock gunfire recording, please note the time frames listed in the above email. (turn up the volume). 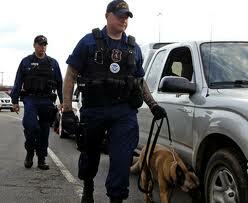 DHS bullet proof checkpoint. 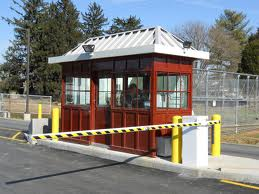 “Papers Please” Over the past two years, DHS purchased a number of these structures. Should we be concerned? Consider what happened on the Rick Wiles show the other night when a listener called in and talked about the fact that there was a temporary roadblock for people traveling to Washington from Idaho. This information is discussed at the48:54 mark of the show. Additionally, I received this email from a reader from Idaho who complained that his 68 year old aunt was traveling west from Idaho to Washington when she was detained and accosted by military forces. My aunt and I read all of your articles and listen to your show every week. I never dreamed I would be writing to you. My 68 year old aunt was traveling from Idaho to Washington when she was stopped at a Border Patrol type checkpoint. But it was not the Border Patrol, it was the military with people that my aunt suspected of being foreign military. She was asked for her ID and she asked if she had done something wrong. The soldier said no but he had to see her ID. She asked if she was free to go and the soldier replied that she had to report to a side area and have her vehicle searched. She was told that she would consent to the search or she would be dragged from her vehicle and the car would be searched anyway. She began to call them communists and Nazis and this is America and they had no right to do this. They detained her for an hour. And then they released her. If this can happen to my aunt, it can happen to anyone. Thanks for all that you do. You may already know about this, but here it is. I have a employee who is in the Army Reserves, and he went to Ft. Hood Texas last weekend July 31- August 2 to qualify on the range. He has been deployed 3X in the past, always out of Ft. Hood, so he knows the layout. Usually when they are up there for the weekend training they stay in one of the barracks in “North” Ft. Hood, the area they use for deployments. He normally stays in the barracks on his weekend training sessions, but this time they stayed in tents approx 1 mile away from the barracks because the barracks are full (of Jade Helm soldiers?). The barracks he says are set up like row houses one after another. Each one of the barracks NOW has its own 10 foot fence with razor wire (around each of the barracks individually). He could not figure why they would do that. I asked if they had guard towers like you think of for concentration camps and he responded not yet, but that they are still building everywhere on the base. Said it was “creepy”, his words, as no one would tell then what was going on and why all the fence and wire. Said no one was talking. This is just a small cross-section of what crosses my email every single day. 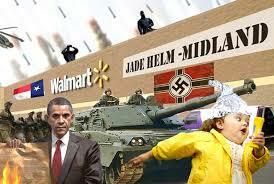 The martial law take over of American is massive and it is proceeding at breakneck speed. The reports from each successive week or more disturbing that the reports from the previous week. These Jade Helm troops are emboldened and they are in violation of their sacred oath to enforce the Constitution. I predict as we approach the Pope’s upcoming speech, we will see an increase in martial law troops and the scope of their mission as they prepare to enforce what is coming our way this fall. Don’t forget to join us on The Common Sense Show, tonight from 8pm to 11pm (EST). Dave’s guests are Steve Quayle, Sheila Zilinsky and Joshua Coy.